Award-winning Iranian musician and composer Nasser Cheshmazar dies aged 68, leaving an indelible mark in the country's film industry. 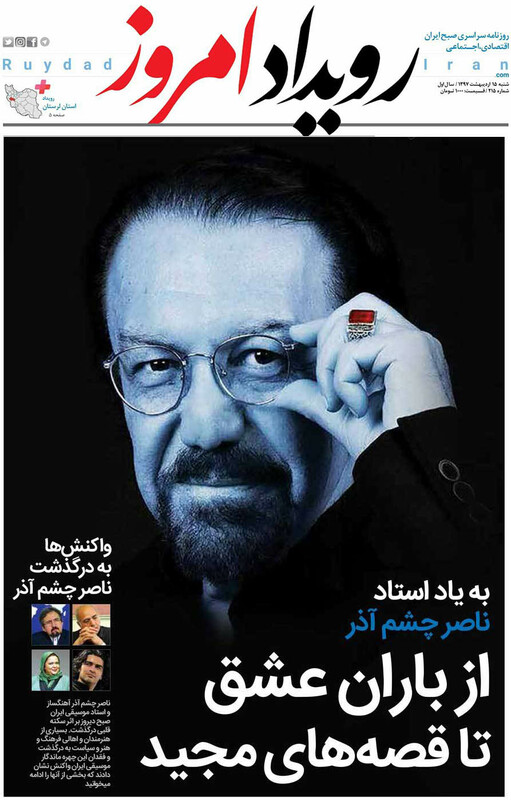 Cheshmazar died at Bahonar Hospital's ICU in Tehran on Friday after suffering a heart attack. A hospital staff confirmed news of his death, saying previous surgeries had probably taken their toll on Cheshmazar's poor health condition and constitution, precipitating his demise, IRNA reported. Born in the northwestern city of Ardabil, he began learning music from his father Ismail and picked accordion as his first instrument. 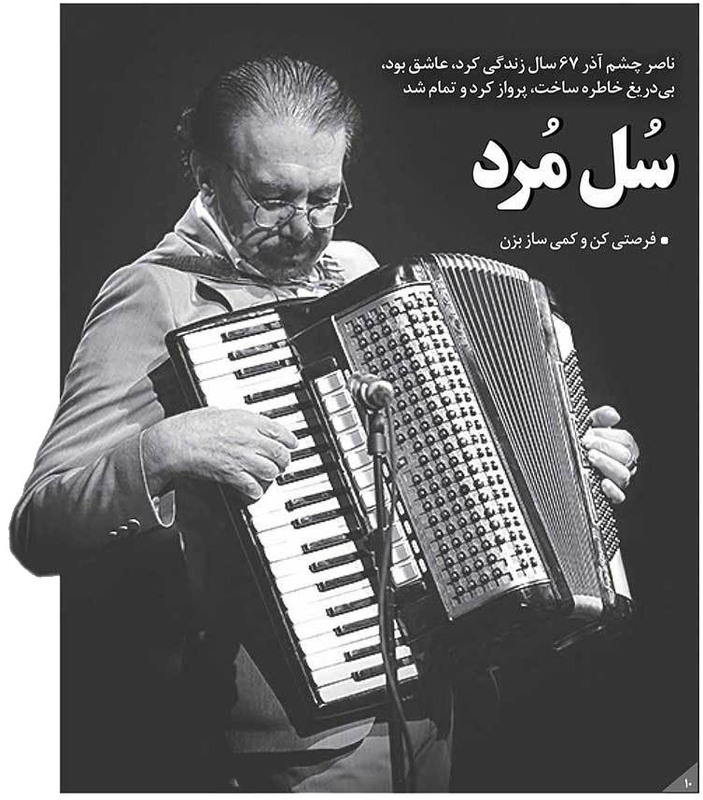 Cheshmazar was considered one of the most acclaimed faces in the world of music and a pioneer in combining Iranian music with western electric instruments. 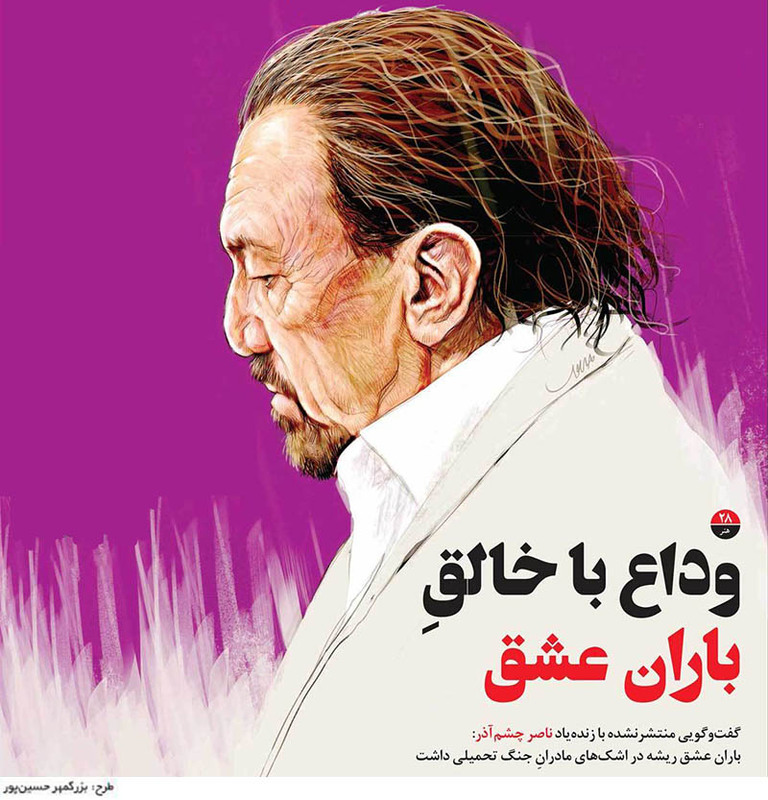 The composer leaves behind a trail of much-touted film music, which snatched him two Golden Simorgh accolades in Iran's iconic Fajr Film Festival. Cheshmazar composed 22 film scores during his lifetime. He was also awarded with the top prize for his score for the "Estranged Sisters" movie at the Malaysian Film Festival 15 years ago. His most memorable scores include "Rain of Love," "Rising," "Sleep," "Awaiting," "Freedom," "Rain of Happiness," "Tehran's Nights," "Tehran's Blossoms," and "Dawn of Love."